- Personalized tag is now 200 characters in length. Can be used as a comprehensive note for your session. 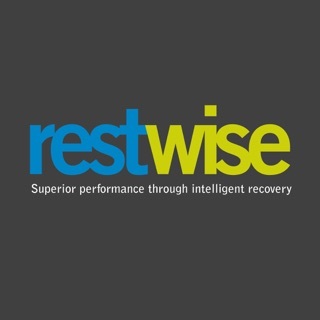 Whether you're an athlete or fitness/health geek, this is such a powerful tool for the cost! 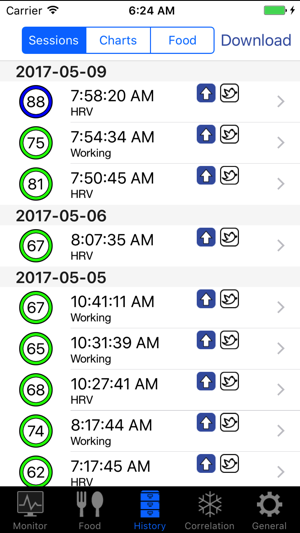 If you just want a simple app that provides a scaled HRV value to determine whether you should go hard or go easy, this app delivers. 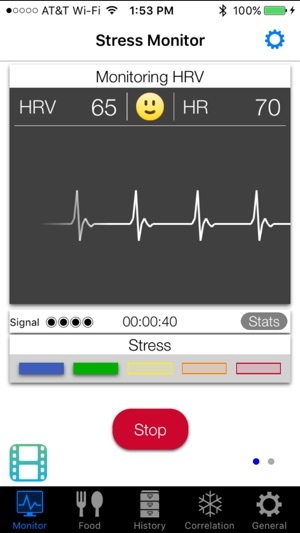 If you’re like myself and like to geek out on all the numbers (rMSSD, LF, HF, RR) and even watch a live graph of your heartrate, this is an awesome app. This app has really helped me to be able to push into the overreached state without falling into the overtraining hole. 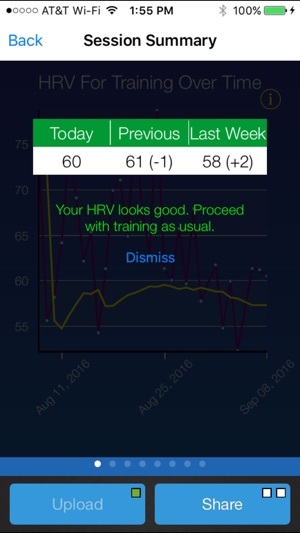 For example, when I train hard for 2 or 3 consecutive days, my HRV will plummet from a baseline of 69 down to the lower 40’s. 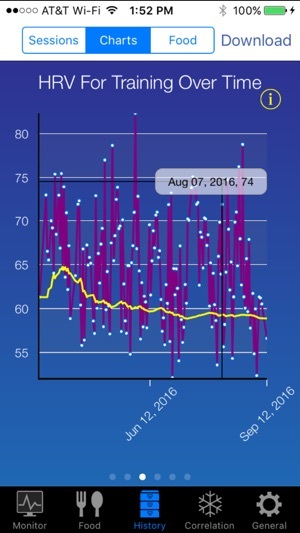 It normally takes a few very easy days for my HRV to climb back up, but if work is stressful it will take longer. I just keep the training on the light side until my HRV comes back up to the baseline. I’m also a user of TrainingPeaks and I consider my HRV value just as important if not more important than my TSB. 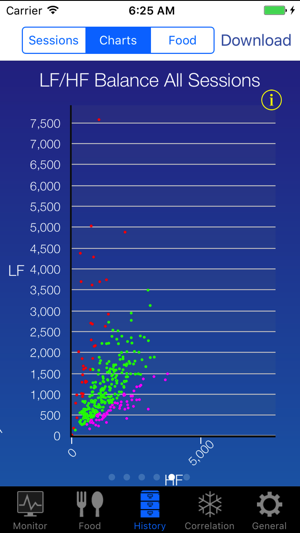 The science for correlating high frequency to the parasympathetic nervous system and correlating low frequency to sympathetic nervous system is mixed, but the science behind HRV in general is solid. I use a Polar Bluetooth heart rate strap with electrode gel/cream and never have had any issues! My neurofeedback doc loves that I’m doing this. Doesn’t work with all heart rate sensors. Yes, please review the Supported Heart Monitors page. We have performed rigorous testing on many different and popular heart rate monitors on the market. Not all heart rate monitors transmit RR intervals which are necessary for HRV calculation. Some heart rate monitors that do transmit RRs are not accurate enough for clinical grade HRV.